Animals do some extraordinary things, but not always while people are watching. When patient and persistent scientists do make a discovery, it can change how we think about animals and ourselves. Animal Aha! 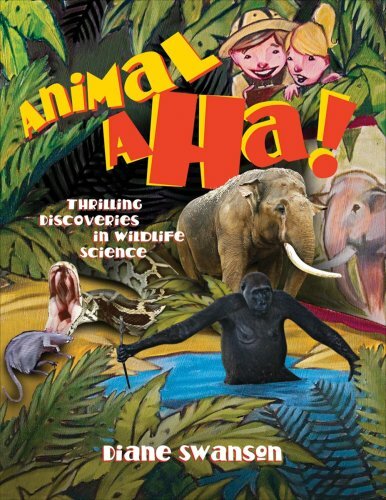 highlights a number of magnificent moments in animal science. Meet Alex, a chatterbox parrot who learned not just to mimic speech, but to communicate by talking. Alex's education is already helping some speech-delayed children learn to speak. Visit a California lab where scientists study snacking snakes. After eating, a python's heart becomes 40% larger than normal. By finding out how, scientists hope to help strengthen human hearts too. 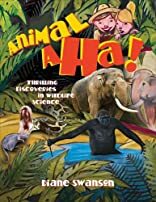 Each profile includes fun facts about the featured creature, thoughts from the scientists who made each discovery and amazing photographs of the animals in action. Animal Aha! will forever change your ideas of animals and how we learn from them.